Apparently, that is not the point of Xbox Anywhere. 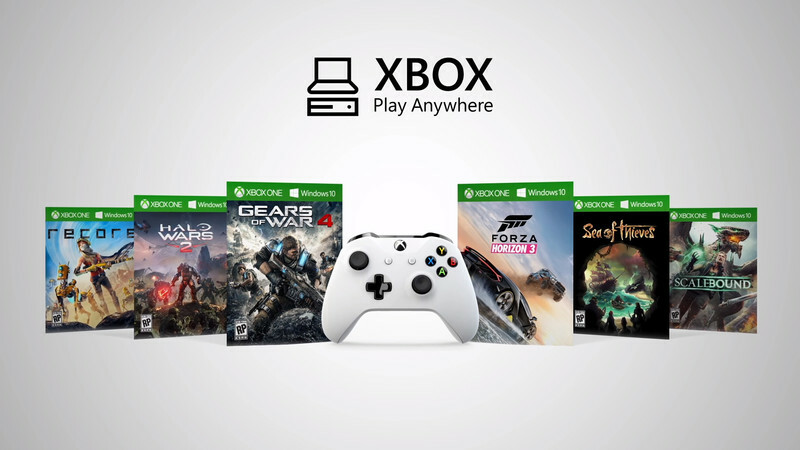 In spite of the confusion surrounding the initiative thanks to Microsoft’s recent backtracking, Xbox Play Anywhere remains an ambitious initiative, and it is a far more thorough attempt to bridge the divide between PC and console gaming than any we have gotten so far. But Microsoft dislikes the idea that they are attempting to fuse the PC and Xbox platforms together into one, or any such notion. In an interview with The Guardian, Xbox head Phil Spencer spoke out candidly against such an idea, noting that he recognizes that the PC and console markets have very different requirements. “PC gaming and console gaming are different, and the customer segments have capabilities and expectations that are unique to the platforms they play on,” he said. “With Xbox and Windows, there are some common things that we can put in the hands of creators and gamers – like Xbox Live, like your friends list – that help unify your gaming experience and put you at the centre as the player. “But I bristle at the idea we’re bringing the platforms ‘together’. It’s not that I’m trying to turn PC gamers into console gamers or console gamers into PC gamers. We just know, and I’m sure you’re tracking it, the health of PC gaming is incredibly high right now, and we know some of our best and most active customers on Xbox One are also PC gamers – so we see this opportunity to service the customer and where they actually play, and they want to stay connected to their friends wherever they are. I’m not entirely sure of the pitch, then, because it does sound to me like Microsoft are trying to make software hardware agnostic (which is a strategy that the entire company seems to be adopting of late)- that’s great, but it necessitates, by definition, a fusion of sorts of the Xbox and Windows gaming platforms. I wonder why Spencer is so adamantly denying that, then.